Rajasthan is a culturally rich state which reflects the ancient Indian way of life. By area, Rajasthan is the largest state in India and is known as the ‘Land of Kings’. Jaipur is the largest city as well as the capital of Rajasthan. Rajasthan, which is a state in the western region of India, comprises largely of Thar desert, which is also known as the Great Indian desert. Rajasthan borders with Pakistan, Gujarat, Madhya Pradesh, Uttar Pradesh, Haryana and Punjab. Indus Valley Civilization, which is the world’s oldest and first civilization was in parts of Rajasthan. True to its name ‘Land of Kings’, Rajasthan exhibits a very rich and royal lifestyle. Culturally, the traditions reflects not only the ancient lifestyle but also brings across the royal living. 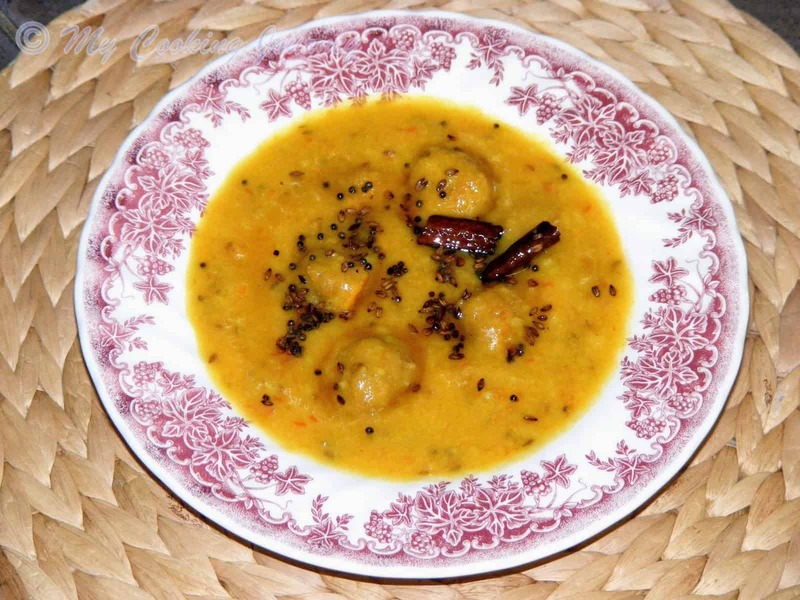 The cuisine of Rajasthan is based on its climatic conditions and is influenced by war like lifestyles of people living in the state. 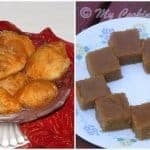 They have many recipes that could be consumed at room temperature without needing refrigeration. The very hot temperatures in the region and also the scarcity of water and fresh greens, reflects on the cuisine. 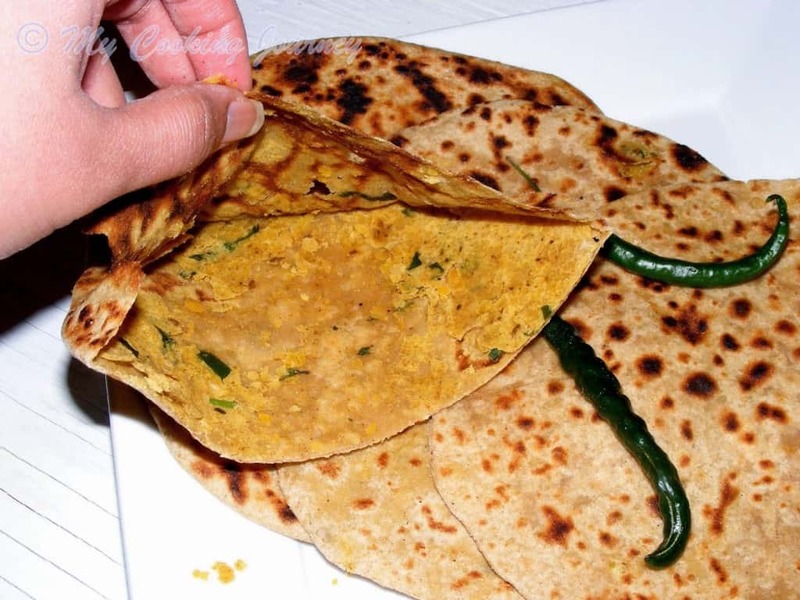 The Marwari cuisine of Rajasthan is very well known for its rich vegetarian delicacies. 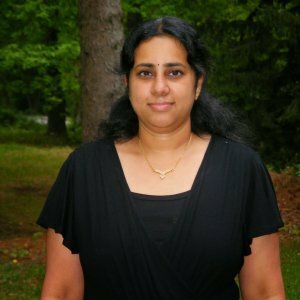 Thanks to a good friend and blogger, Manjula, I have had the privilege of cooking many Rajasthan (especially the Marwari) recipes. 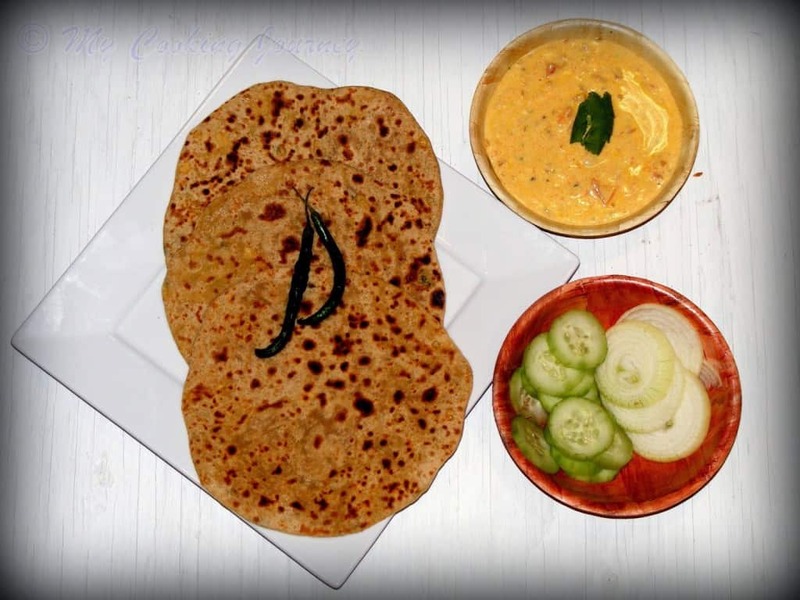 She is originally from the Marwar region and has many delicious authentic recipes in her space. 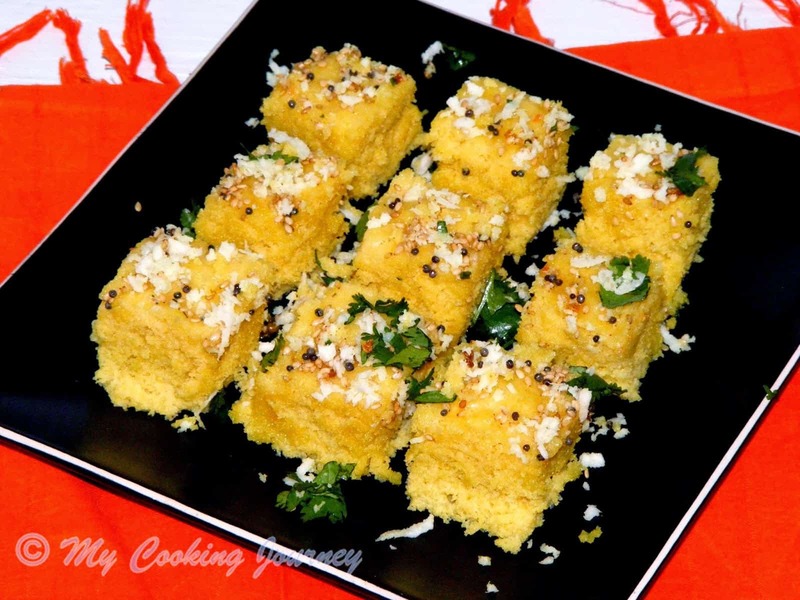 Do check out my other recipes from the state here. 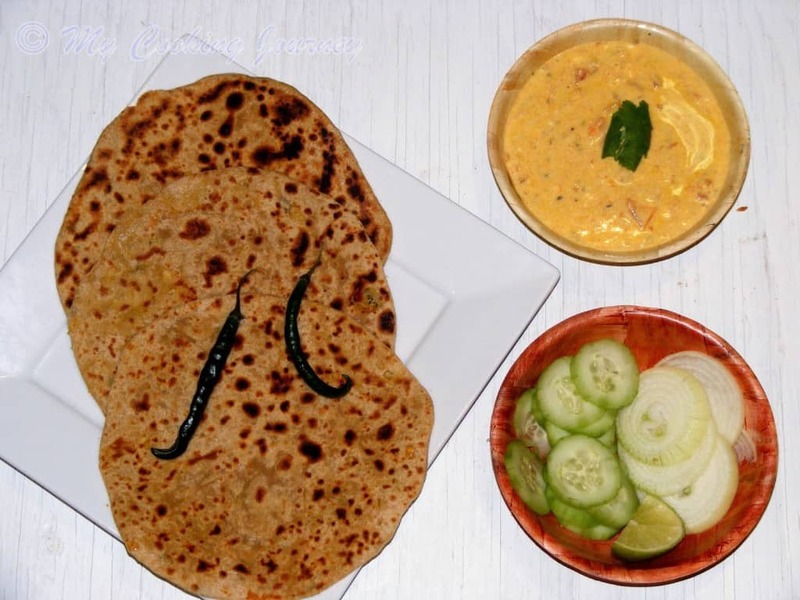 The recipe that I chose today is a part of the regular meal in Rajasthan. 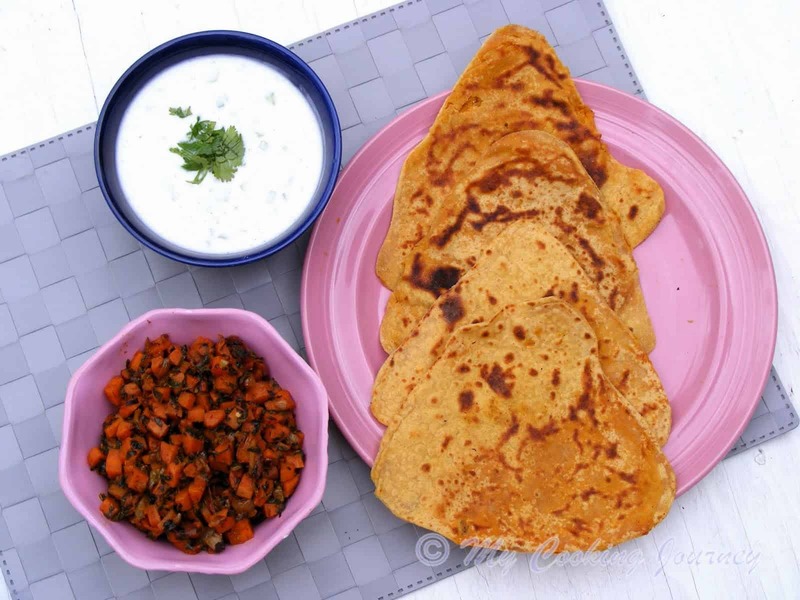 This channa dal paratha was so flavorful and filling that all we needed on the side was some raita and a simple salad. 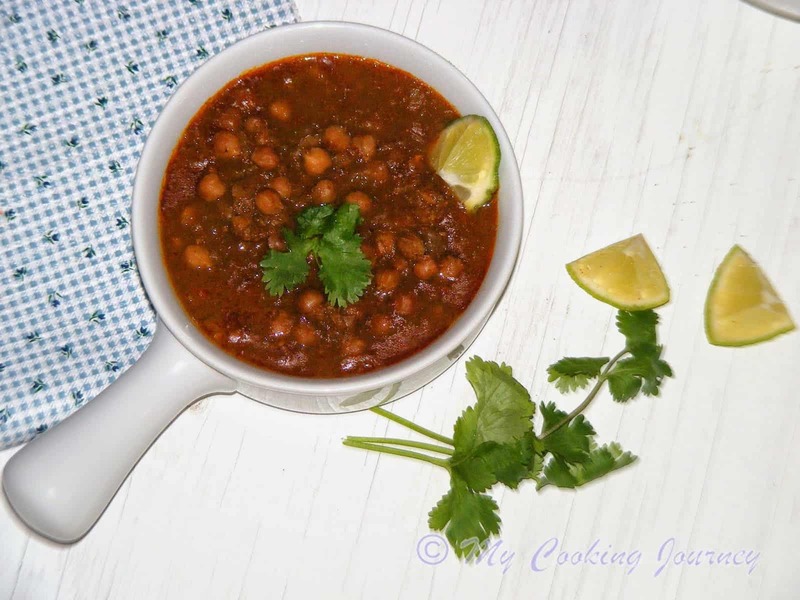 It originated from the Bikaner region of the state and hence carries the name in the recipe. 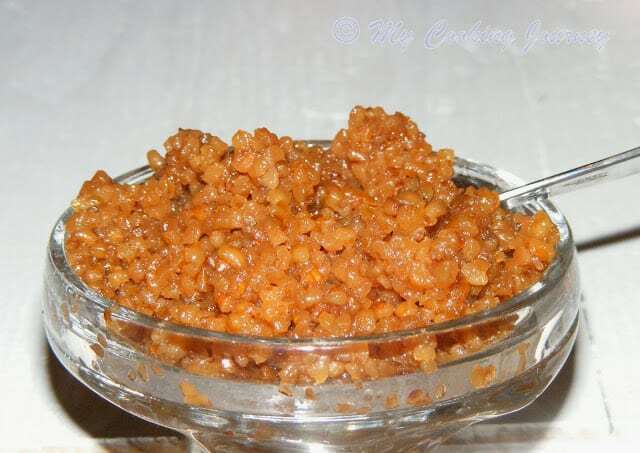 Bikaner is a very popular region of the state which is famous for its many snacks and sweets. Take the wheat flour in a wide bowl and add the salt and oil to it. Mix it well using your hands. Now add warm water slowly and combine to form soft dough. Cover the dough with a kitchen towel and let it rest for at least half an hour. 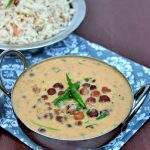 Soak the channa dal for 3-4 hours. Heat enough water to cook the dal and let it come to a boil. Now add the soaked dal to the boiling water and let it cook until the dal is soft and crumbles when pressed between fingers. 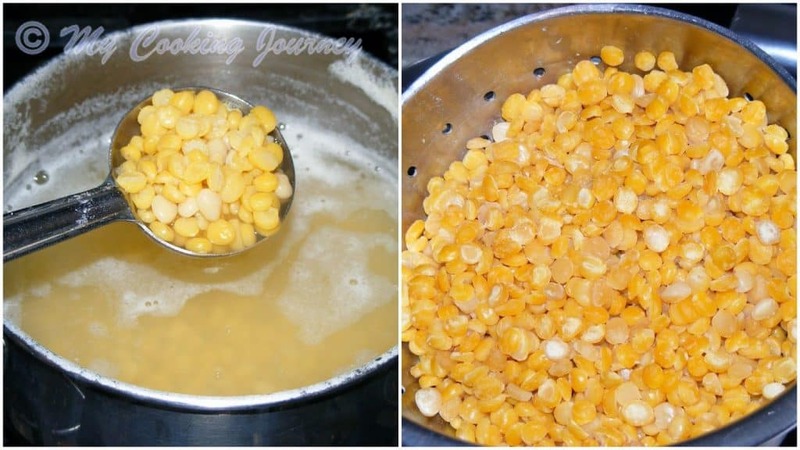 Drain the cooked dal in a colander for few minutes. 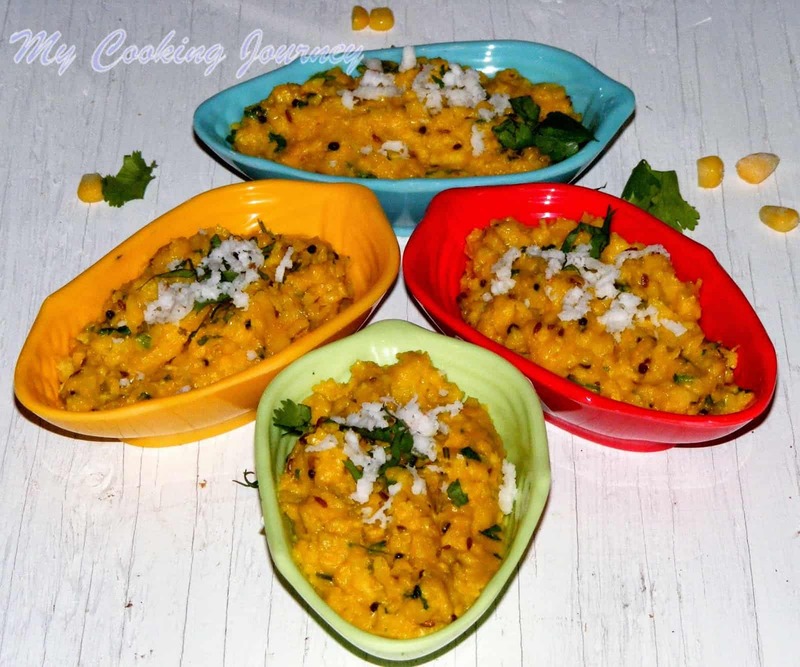 Now grind the cooked dal to a fine mixture without adding any water to it. 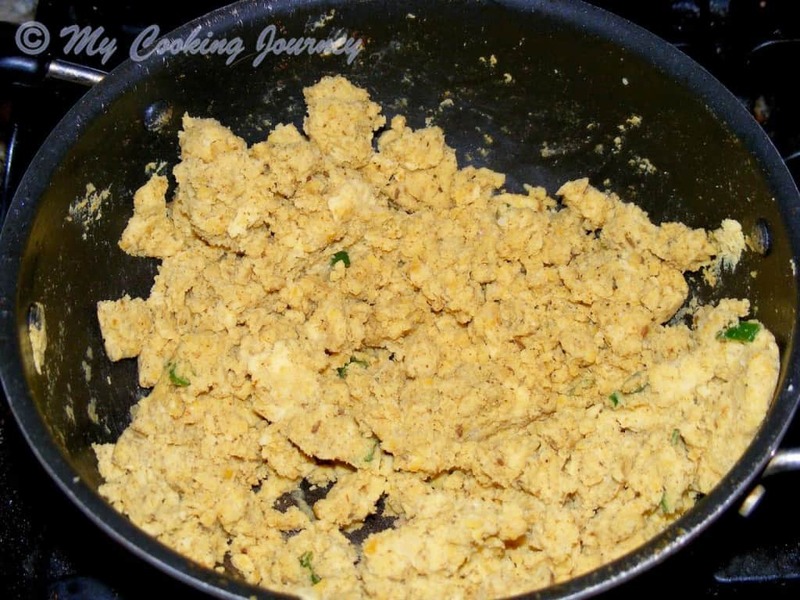 In a pan, heat 1 tbsp of oil and add the cumin seeds to it. 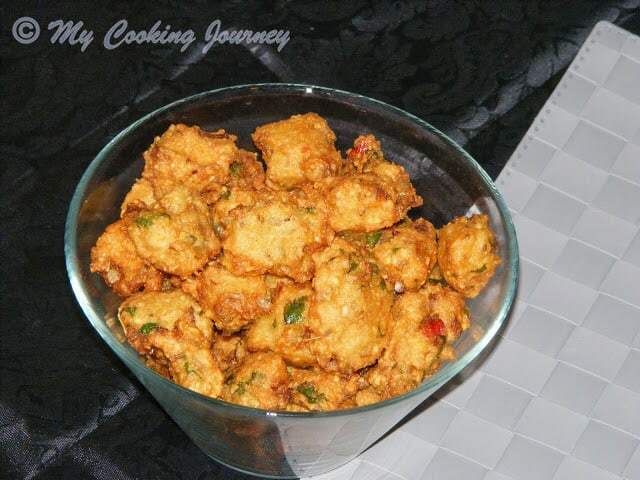 Let it fry for about 15 seconds and then add the asafetida and all the other dry masala powders and mix. Now add the ground dal and enough salt and cook for 2 more minutes. Add the chopped cilantro leaves and mix. Take it off the flame and let it cool down a bit before making the parathas. Divide the rested dough into 12 parts and form a ball. Dust the surface and the rolling pin with some flour and then roll the dough into a 4-5 inch circle. Brush the surface with some oil and then place about 2 tbsp of stuffing in the center. Bring the dough together and form a pouch. Seal the pouch and flatten it with your palm. 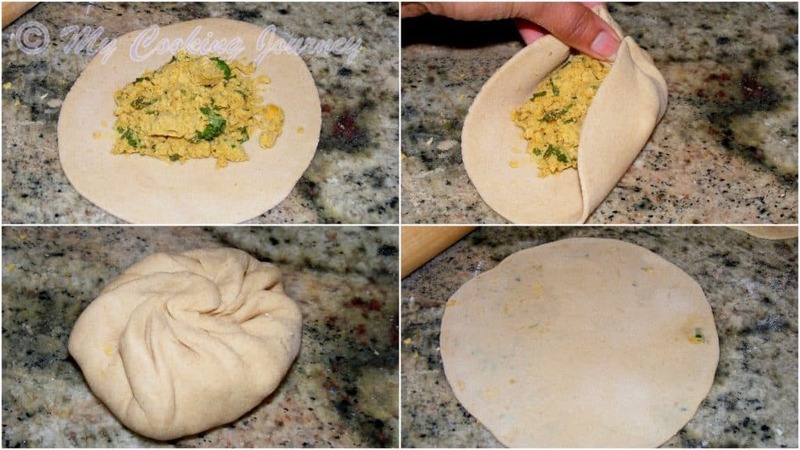 Now slowly roll out the stuffed dough to about 8 or 9 inch circle. Make sure you roll it out as thin as possible without tearing. 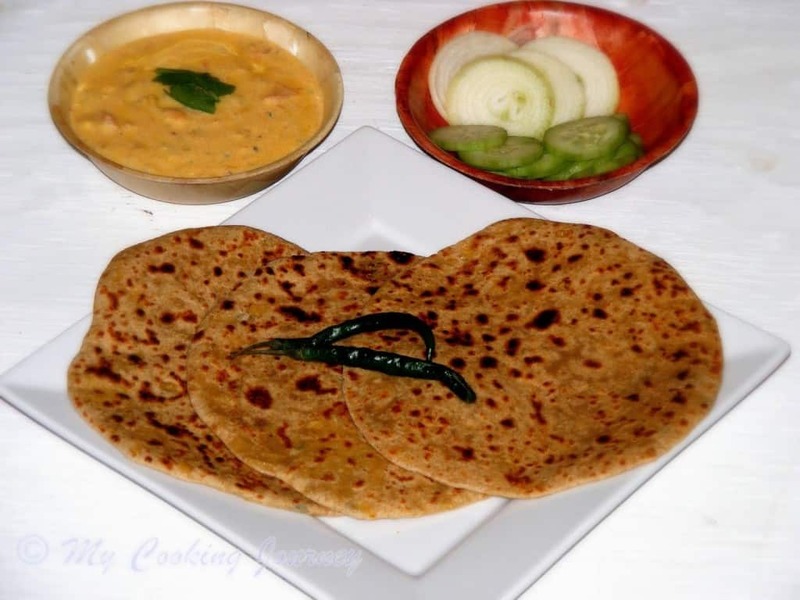 Unlike other stuffed parathas, these roll out very well. 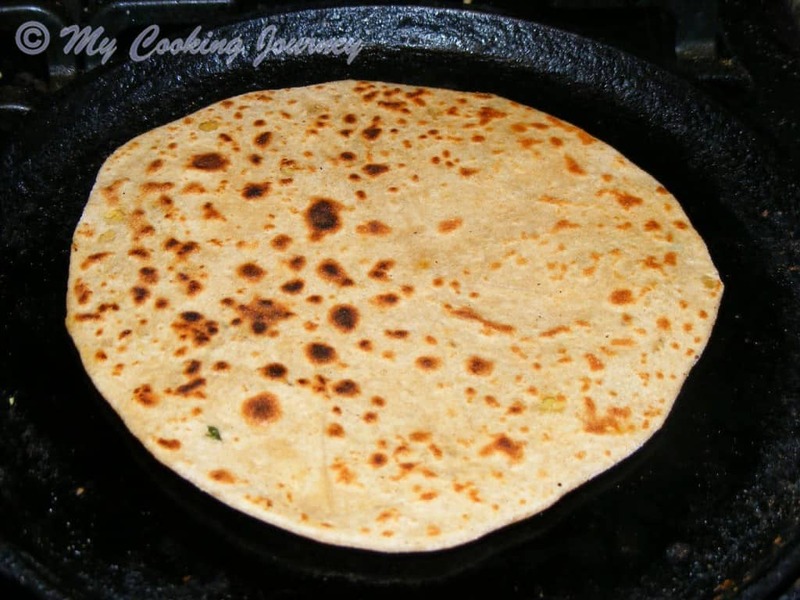 Heat a tawa and then add the rolled out paratha. Cook on both sides adding oil liberally until they are golden brown. 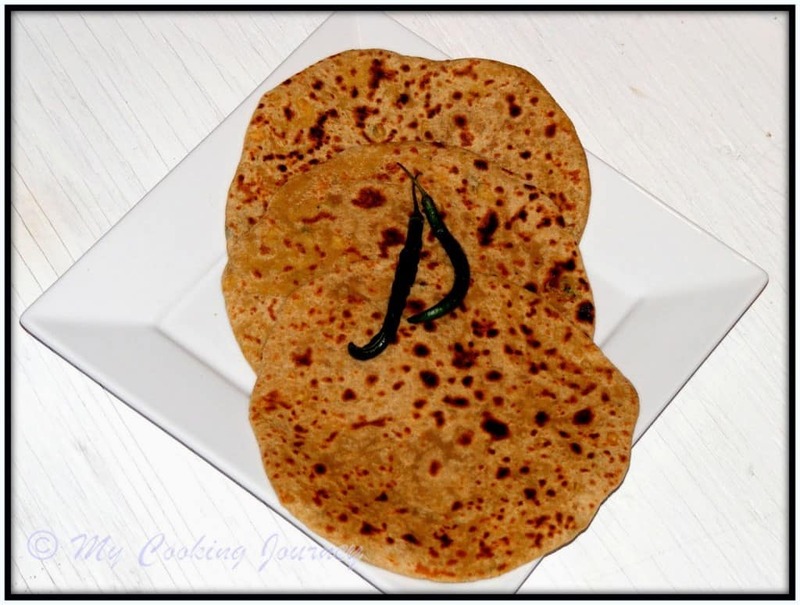 These parathas are generally cooked a shade darker than regular parathas. Repeat the same with the rest of the dough and filling and cook them. 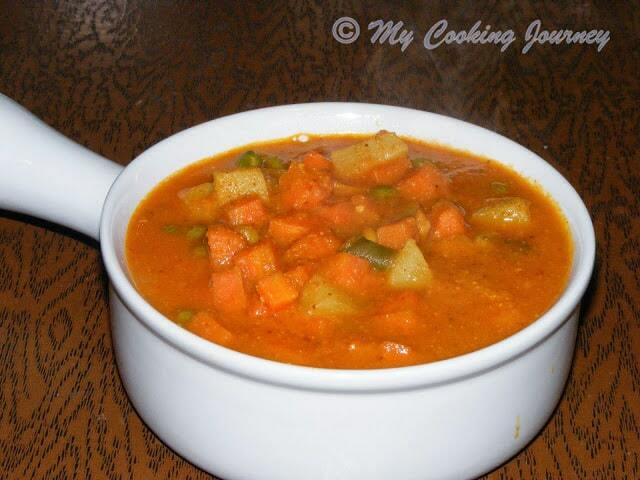 Serve hot with pickle and curd or with some raita!